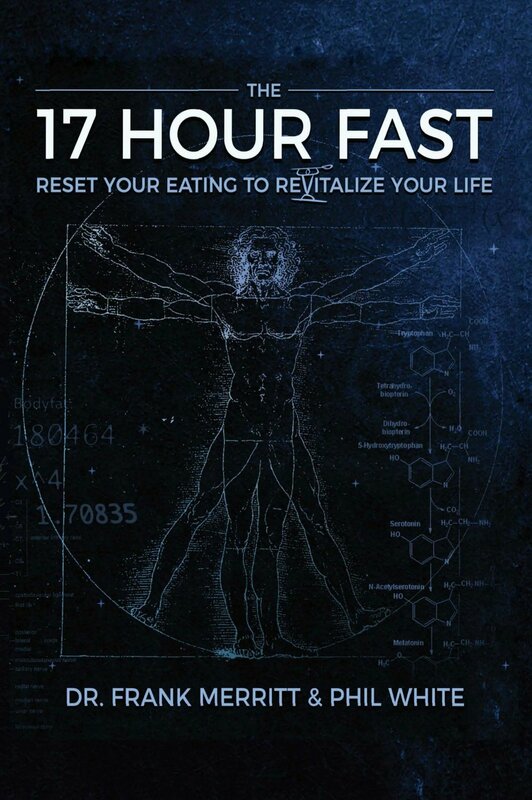 Inspired by his best friend’s battle with cancer, Dr. Frank Merritt has engineered The 17 Hour Fast, which offers maximum benefits from a minimum fasting method that promotes an enriching mind, body, and soul experience. Drawing on years of medical practice as well as VitalityPro research protocols developed with iconic athletes, respected nutritionists, and behavioral/exercise psychologists, The 17 Hour Fast embodies a minimum effective dose (MED) strategy, harnessing the powerful health and performance advantages of longer fasts while avoiding many of their pitfalls. The 17 Hour Fast is also carefully synchronized and choreographed with diurnal/nocturnal hormone patterns, sleep hygiene, personal growth and relationship-building techniques, and suggested training/recovery activities to create a potent combination for success.